By 1909, the rich oil fields of Glen Pool and Red Fork lured hundreds of men to the area. C. E. Buchner, secretary of the YMCA, organized outdoor youth programs that would become a model for YMCAs worldwide but he wanted a permanent facility to house and feed migrant workers living in oilfield “tent cities.” Buchner turned to leaders within the petroleum industry, who responded with astounding results: within 10 days they had reached the goal of $100,000, and the first building was constructed in 1914 at Fourth and Cincinnati, complete with a cafeteria, meeting rooms, health facility and dormitory. By 1951, the original buildings reached its life expectancy and was insufficient to serve its current membership of 6,500 as opposed to the original membership of 500 in 1914. A new building was needed to meet a home away from home for young men as the operation of dormitories regularly returns a profit for boy and youth program operations. Chairman of the YMCA Board, Mr. John E. Mabee, started a fund raising drive to build the new YMCA at 6th and Denver stated that it is “Once in a Lifetime” in which community citizens are called upon to construct central building facilities for such moral and character building enterprises as the Young Men’s Christian Assn. – and Tulsa’s challenge to build a new “Y” for the Oil Capital was launched. The Downtown Tulsa YMCA was designed in the International style in 1953 by Tulsa architect Leon Bishop Senter. Modern styles of architecture first start appearing in the downtown core of Tulsa in the early 1930s. At the start of this movement, architects began applying the streamlined forms popular in industrial design to commercial buildings. In the post-World War II period, buildings, especially commercial buildings, got bigger and sleeker. All vestiges of architectural ornament and references to historic styles were removed. Skins of glass and metal replaced traditional veneers of brick and stone. Windows became expansive ribbons of glass. The Downtown Tulsa YMCA building is one of the last buildings Mr. Senter designed. As illustrated by his work, Mr. Senter continued to evolve his design style throughout his career. In departing from his earlier notable works in the Classical Revival and Art Deco styles, the Downtown Tulsa YMCA remains the only International style design of his work and therefore an excellent local example of the International style of architecture designed by a Tulsa architect. 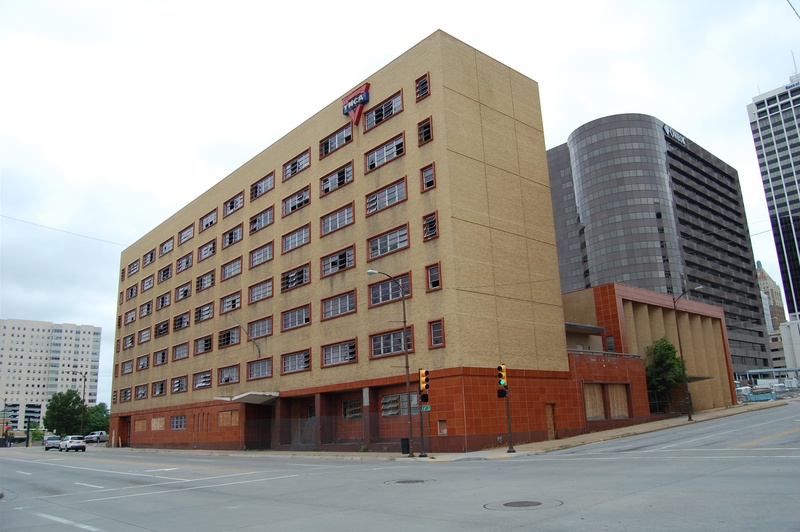 Downtown Tulsa YMCA was listed in the National Register on September 7, 2016. It was listed under National Register Criterion A and C, and its NRIS number is 16000625.